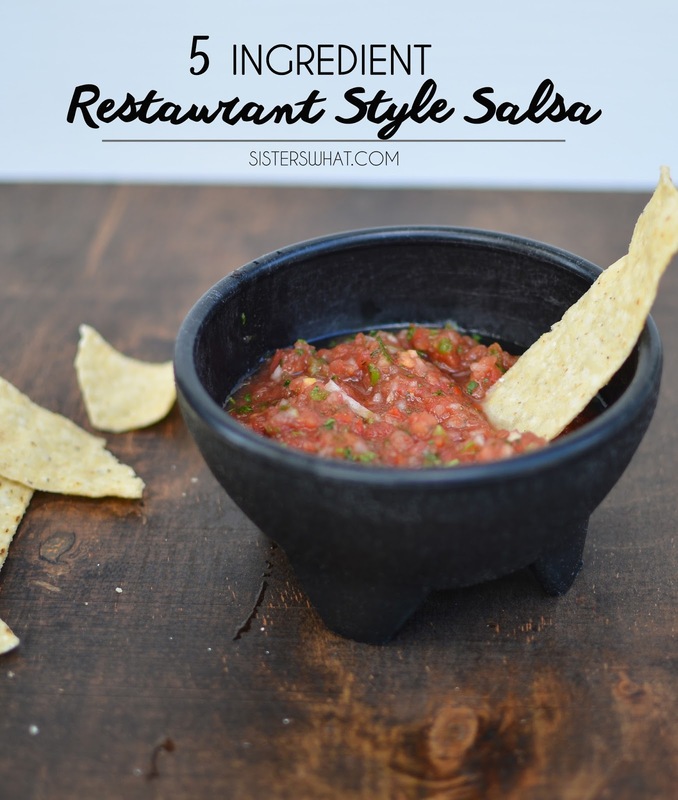 ' 5 second 5 ingredients Restaurant Style Salsa - Sisters, What! 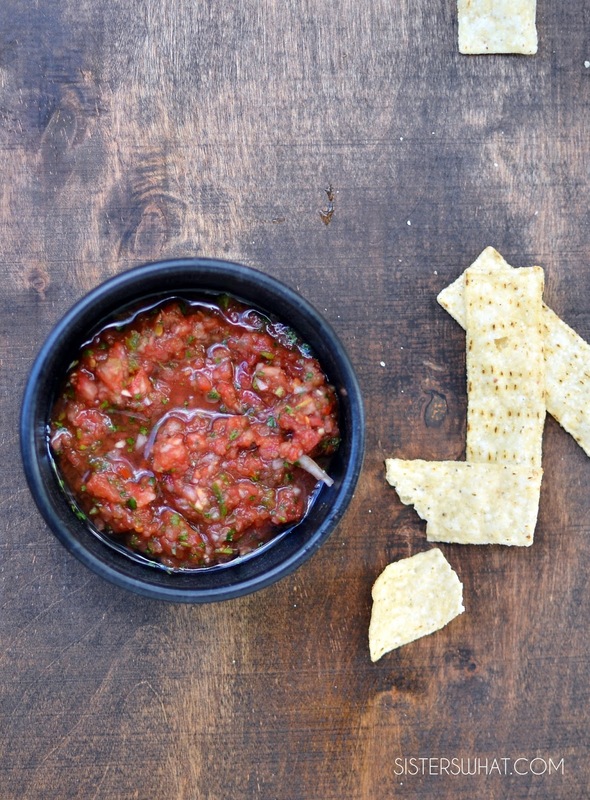 Because the weather has been so amazingly warm lately, we've been making a lot homemade salsa. I swear that this tastes just like the best of the best Mexican Restaurant salsa's (it probably helps eating out of these fun salsa bowls). seriously, it rocks. I know what you're thinking, "that's what everyone says about their recipes" but let me put your mind at ease. 4. I didn't really cook much Mexican food until we moved to Erie Pennsylvania, where we found a ghastly lack of Mexican food. There was one restaurant that was ok (but not worth spending precious student loans on). Thus, if I wanted to eat Mexican, I had to cook it myself. Was that enough proof for you? I might have exaggerated a little, for by no means do I consider myself a good cook; I make dinner because we need dinner. But, Mexican food is something I refuse to take lightly when eating or cooking, especially salsa. I'm telling you, this is good stuff. And did I mention that it only takes like 5 seconds to make. put into a blender or food processor. The salsa sounds great, I'll have to try it. We just moved to IL from Colorado and before we left we went to Ikea and bought a bunch of food containers and hit up all our favorite Mexican restaurants and bought quarts of green chile to freeze. We could eat Mexican every day too, but I have to make it last until we go back to visit the kids and we can restock! I really like restaurant salsa, especially alongside warm tortilla chips! Thanks for sharing on Handmade Tuesdays. This looks so yummy! I should try it with chips. It would be delicious! Can't wait to make this!! Glad to have you at Things I've Done Thursday! Where may I find the crock pot bean mix recipe as mentioned in comment #3? Thanks! Hi Karen, you know, I can't believe I've never shared it before. I guess I better share it; I'll let you know as soon as I put it on.